Barbier was a supreme storyteller. His artistic genius was defined by his ability to enrapture audiences. His intoxicating, visual narratives–informed by the artistic zeitgeist of the day–and his vast knowledge and appreciation of art, history and world cultures were unsurpassed. Barbier’s passions for classical antiquity, 18th century French aristocracy and the exotic “East”—all common themes in his work— were rivaled only by his infatuation with the modern woman of the 1910’s and 20’s. 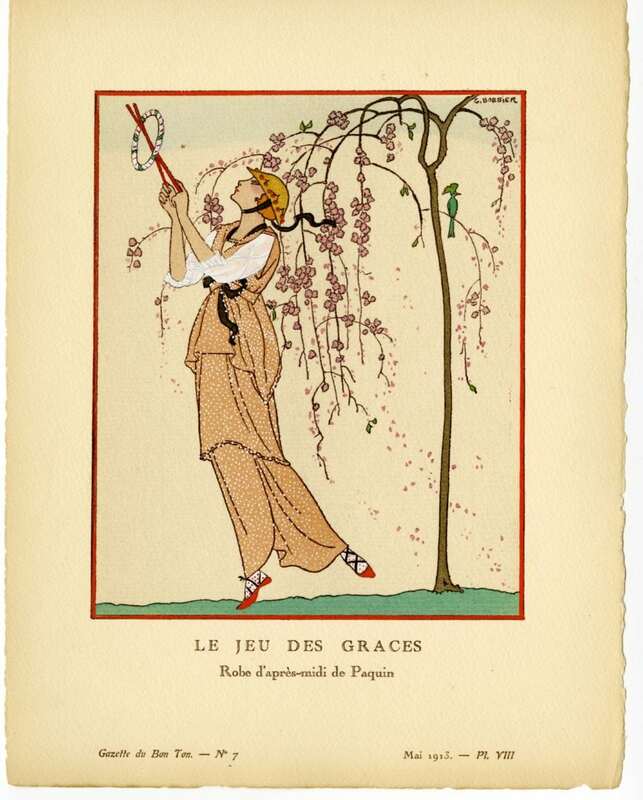 For Barbier, her clothing was the ultimate expression of her elegance, charm and beauty. 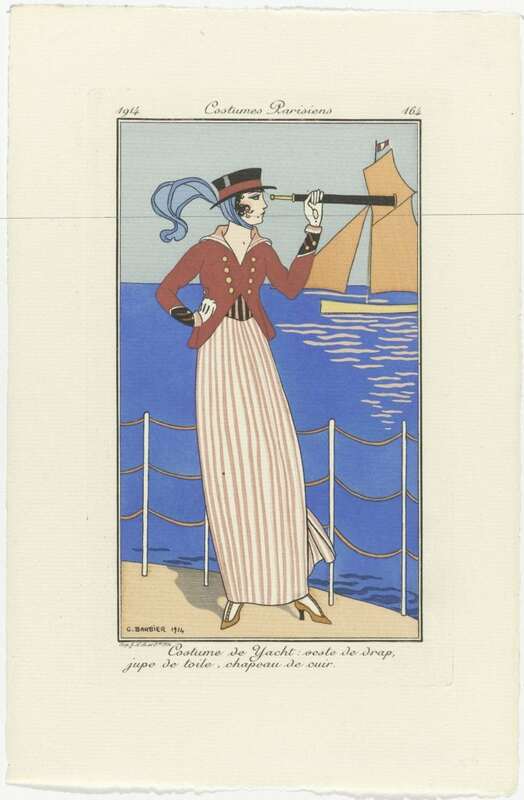 From the beginning of his career, Barbier, a finely trained artist, was intimately connected to the world of fashion. He collaborated with couturiere Jeanne Paquin, as well as the jewelry powerhouse Cartier in 1911, the same year as the first exhibition of his work in Paris. Barbier was the first to incorporate Cartier’s now famous panther design into the company’s advertising. 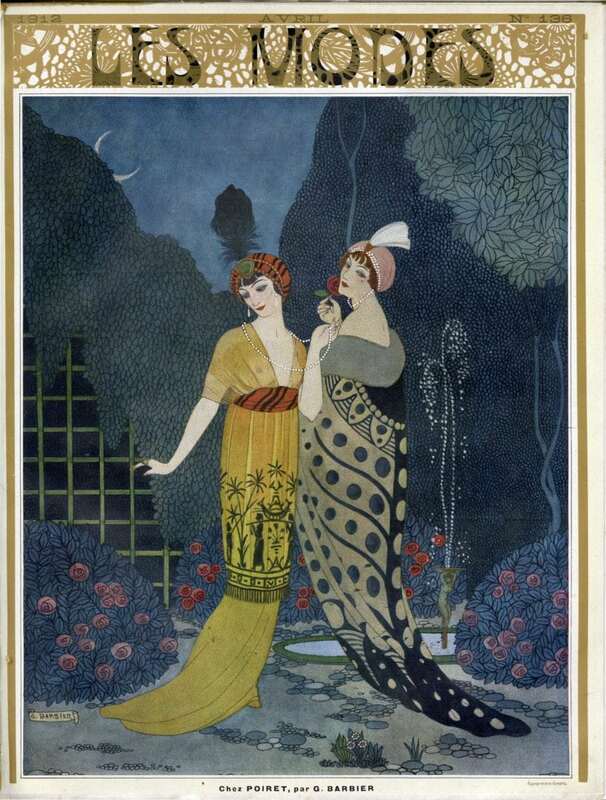 George Barbier went on to work as a fashion illustrator for two of the most luxurious and influential fashion magazines of his day: Journal des dames et des modes (1912-1914) and Gazette du bon ton (1912-1925), as well as the fashion almanac Modes et manières d’aujourd’hui (1914). 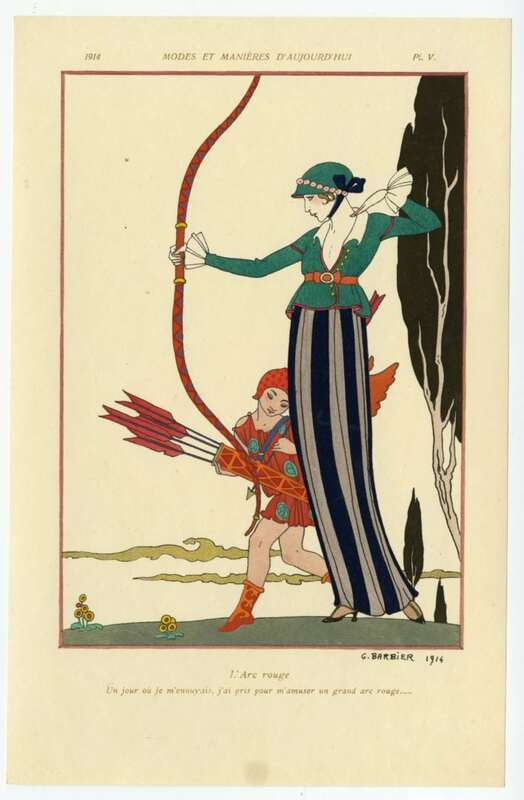 Within the pages of these magazines, Barbier’s imagination was given free reign and contemporary fashions were the muse for his reveries to take flight. Barbier’s dedication to the hand-stenciling technique, know as pochoir, used in the pieces I’ve included, has preserved his work in stunning visual quality. I hope you enjoy his talent as much as I do. Hi Cassidy — Thank you for showing those fantastic Art Deco fashion prints. I never tire of vintage fashion and I’ve collected several pieces over the years. is fascinating but its even better when you are able to actually gently hold the garment and see the construction of the inside. Thanks for sharing your prints with us and showing us what our sisters of long ago loved to wear.